Contact notes are like digital ‘post its’ for contacts. You are able to create notes and attach them to your contacts about anything that you think is important. 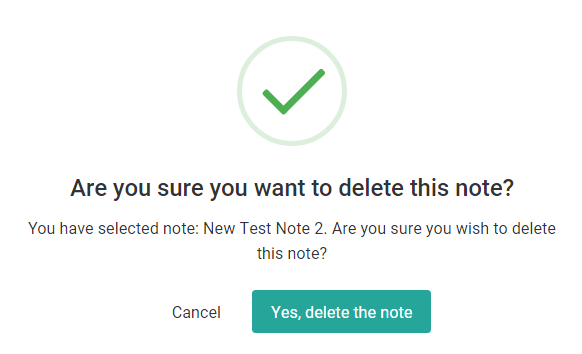 This guide will show you how to access the notes area from where you can create, edit and delete notes. Notes can be collaborative with all Sentle users able to access and edit them where required. When in a Contact’s area a ‘Notes’ tab can be seen at the top of the screen as shown in the following image. Selecting the notes tab you'll be given the option to add a new note for that contact. 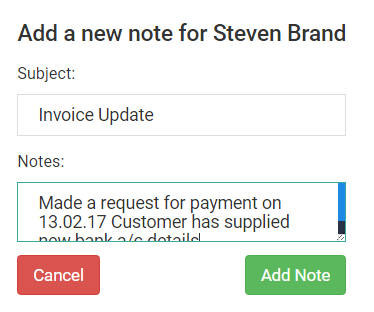 Clicking to add a new note will load the following window where you are able to add a Subject Title and Note details to the note. Once you are happy with the content, you are able to use the ‘Add Note’ button to add the note to Contact’s note page. As mentioned earlier, note can be edited by any of the Sentle users logged into the system. The note itself will display the name and time of the last person to have edited it as shown in the following image. Notes can be removed by selecting the X symbol located in the top right corner of the note. The image below displays how the system will look when you start adding multiple notes. 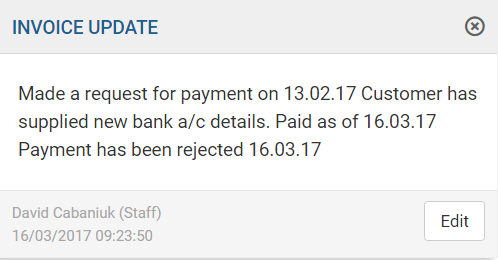 When selecting to delete a note, the following confirmation will be displayed.